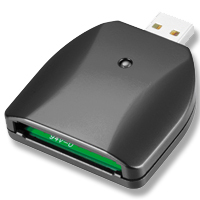 The MicroU2E USB 2.0 to USB 2.0 Mode ExpressCard Adapter allows use of USB based ExpressCards with USB 2.0 equipped computers. USB mode ExpressCards include: Novatel Wireless Merlin ExpressCards (XU870, EX720, V740), storage media ExpressCards like the expSSD, simple minded RS-232 host adapters like Synchrotech's EXP34-RS232-01, most ExpressCard to memory card media adapters like Synchrotech's CFExpressPro, and several others. The DEVICE WILL NOT WORK WITH any ExpressCard using the PCI Express (PCIe) portion of the ExpressCard standard. This is the majority of ExpressCards that do any other than the devices discussed above. Any real host adapter for SATA, FireWire, Ethernet, USB 2.0, etc. WILL NOT WORK WITH the MicroU2E USB 2.0 to USB 2.0 Mode ExpressCard 34|54 Host Adapter. The MicroU2E USB 2.0 to USB 2.0 Mode ExpressCard 34|54 Host Adapter should provide more than enough power to ExpressCards when plugged into a 500mA USB 2.0 port. However, some ExpressCards including WWAN wireless broadband cards benefit from the use of the DoubleQueue cable plugged into two USB ports. The additional power helps when located further from wireless carrier towers. Use with 300mA USB 2.0 ports is not recommended and may not provide sufficient current for certain ExpressCard applications. Using USB 2.0 technology, the device supports high speed applications including HSDPA and HSUPA ExpressCards. The MicroU2E USB 2.0 to USB 2.0 Mode ExpressCard Host Adapter is very small and lightweight, providing excellent portability. NOT COMPATIBLE with any PCIe based ExpressCards - examples include SATA, FireWire, Gigabit Ethernet, USB 2.0, etc.